CASTRIES, St Lucia, CMC – In the clearest sign yet it intends to resist the recommendations of CARICOM’s Governance Review Panel, the West Indies Cricket Board says it has retained the services of Dominican lawyer Anthony Astaphan. During its regular quarterly Directors meeting in Rodney Bay here Saturday, the WICB announced that Astaphan would serve as an “advisor to look at the recommendations for the CARICOM final report on governance of cricket”. Astaphan, a Senior Counsel and former president of the Bar Association of Dominica, delivered a presentation to directors during the morning session of the meeting on Saturday. 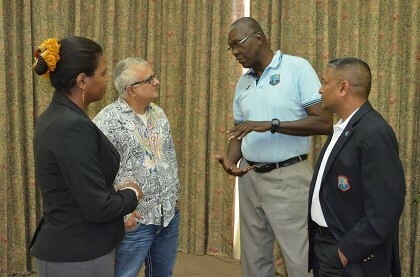 “A full paper will be prepared and will be available for presentation to the Prime Ministers’ committee,” the WICB said. 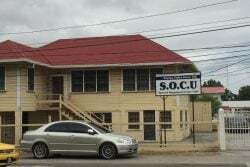 The move is a significant development especially following on the heels of a meeting between CARICOM and the WICB in Grenada recently – the first between the two bodies following the release of the controversial Governance Report which has recommended the “immediate dissolution” of the WICB. Chairman of CARICOM’s Cricket Governance Committee, Grenada’s Prime Minister Dr Keith Mitchell, said last month he was confident the WICB would get on board with the recommendations. “Since they (WICB) were part of the process that agreed to set up this committee and to accept its recommendations and to implement it, I don’t see how they can afford to do otherwise,” Mitchell said at a press conference in St George’s to announce the recommendations of the report. WICB president Dave Cameron has since expressed concerns about the involvement of governments in the affairs of the regional cricket body, stressing that it was important for sporting bodies to remain autonomous. “We’re not saying we don’t want the Governments to participate. We’re saying that the decisions of the organisations must not be influenced by governments,” the Jamaican said last month. The Governance Report Panel was chaired by UWI Cave Hill Campus principal, Professor Eudine Barriteau, and also comprised Sir Dennis Byron, president of the Caribbean Court of Justice; West Indies cricket legend Deryck Murray; Warren Smith, president of the Caribbean Development Bank, and Dwain Gill, president of the Grenada Cricket Association.